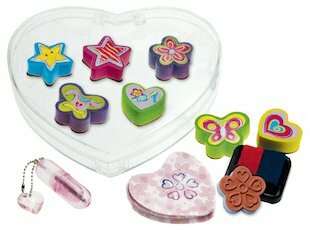 A gorgeous heart stamper kit that creates the most adorable decorations. Inside the heart-shaped box, you’ll find eight ink stampers in the shapes of flowers, butterflies, crowns, stars and more – plus the cutest mini pen and notepad for sending out little greetings. Awww!